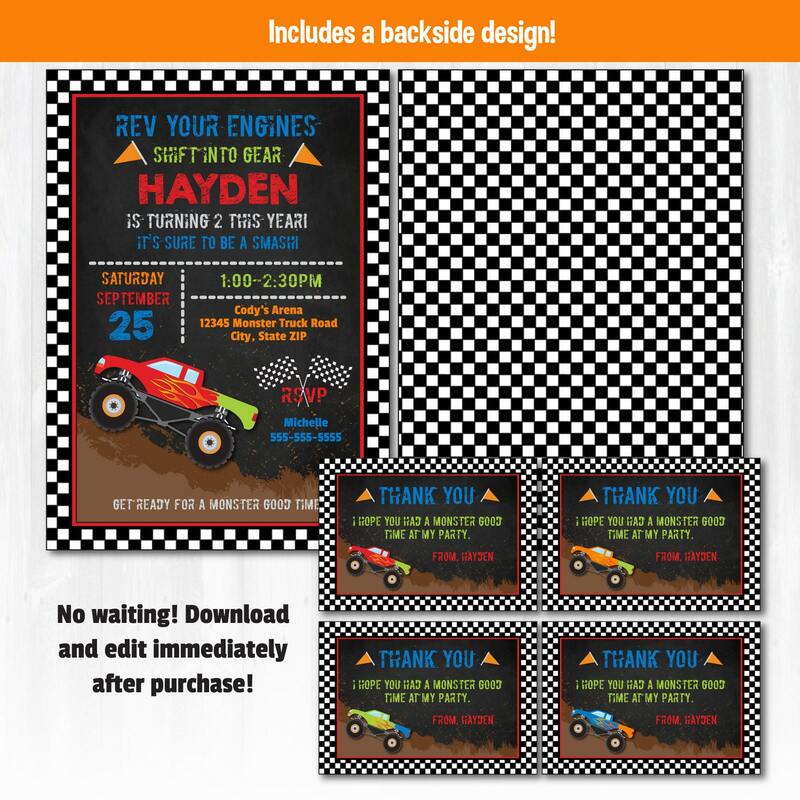 Monster Truck Invitation - Monster Truck Birthday Invitation - Monster Truck Supplies - Monster Truck Party - INSTANT DOWNLOAD! 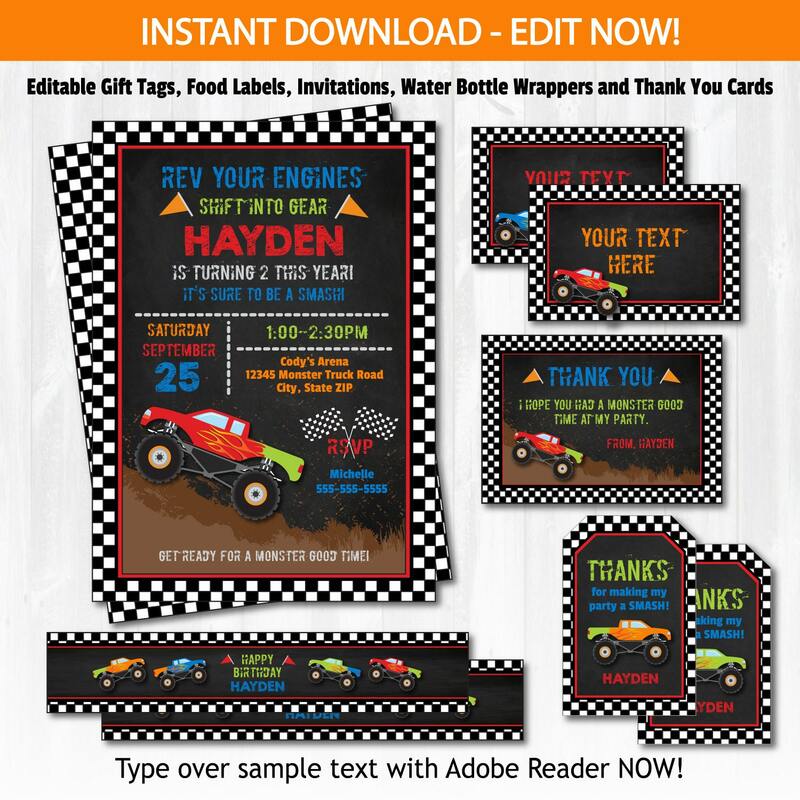 Monster Truck Invitations and Monster Truck Party Supplies- Monster Truck Party Pack - DIY INSTANT DOWNLOAD- NO WAITING!! 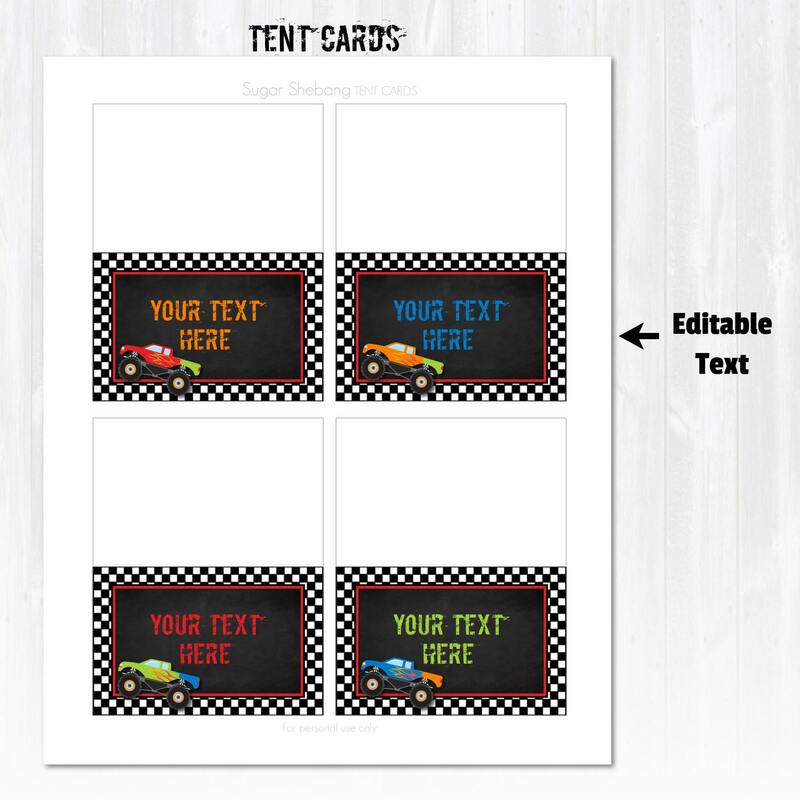 Start RIGHT NOW and just type over the sample text (see what's editable below). Edit with the latest version of Adobe Reader. 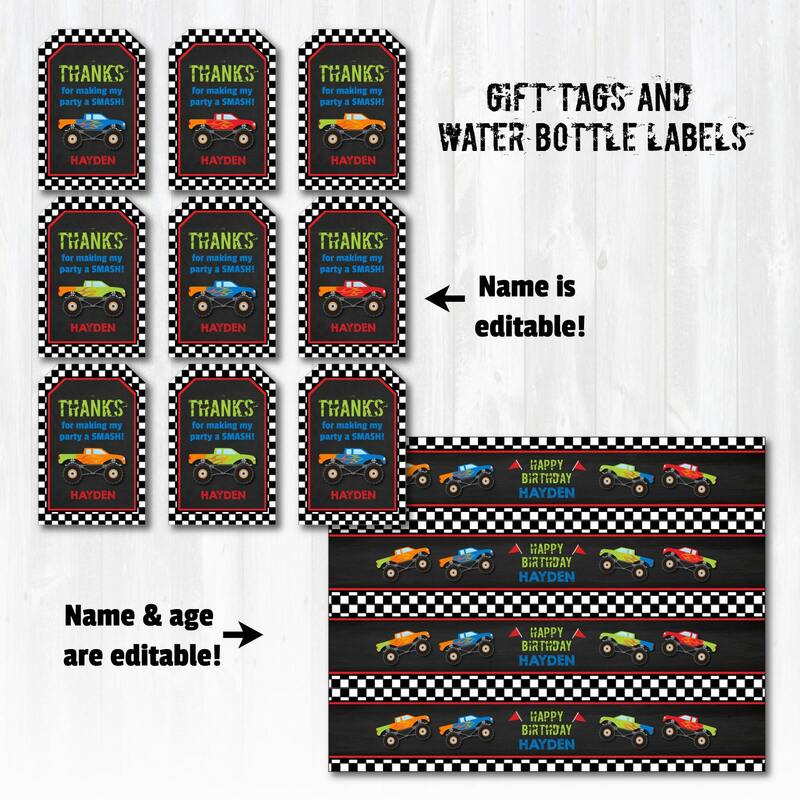 - EDITABLE INVITATIONS - FILE FORMAT: Editable PDF files (with option to change to JPG). You will need the latest version of Adobe Reader. "Rev your engines, shift into gear and RSVP are is NOT editable. All other text IS editable. Please read included instructions for details (use Ctrl + E to open text bar to change font size). Please do not hesitate to contact me for questions or help. - EDITABLE THANK YOU CARDS - 4 per page (3.5x5) - "Thank You" is NOT editable. You will need to download Adobe Reader at this URL: https://get.adobe.com/reader/. Please remember to not click and open the files immediately after downloading. Open Adobe Reader FIRST and then go to "File>Open" to open and edit your files. The files will have text fields for you to add your own text. Please read included instructions for details (use Ctrl + E to open text bar). 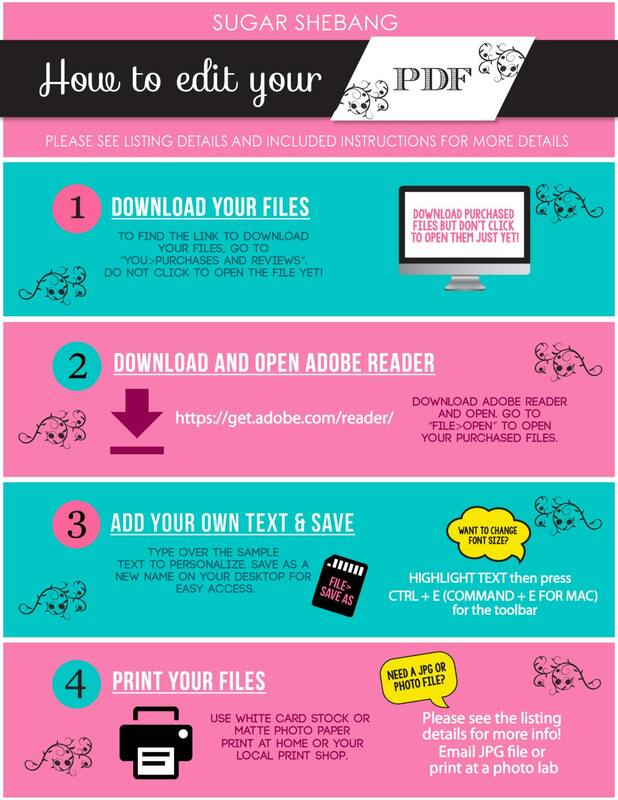 Files will ONLY work in Adobe Reader!